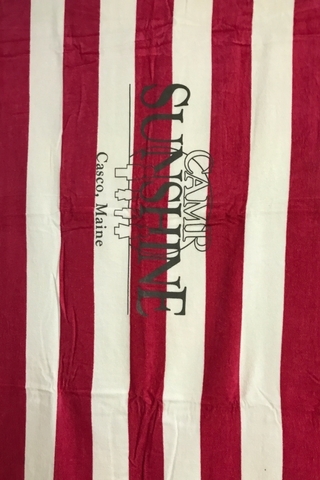 These vibrant pink Camp Sunshine towels are 100% cotton. 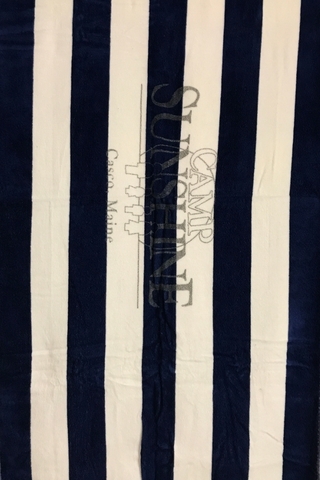 These dark blue Camp Sunshine towels are 100% cotton. 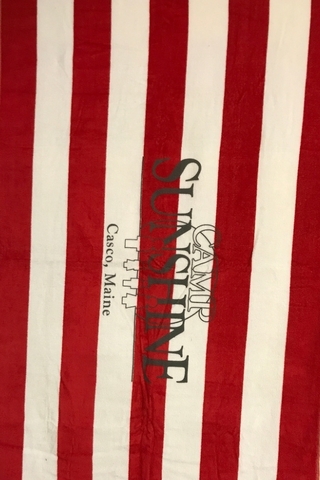 These vibrant red Camp Sunshine towels are 100% cotton. 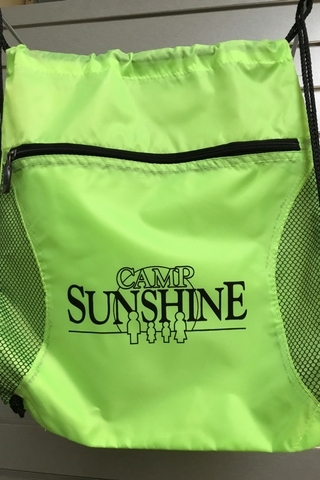 These bright blue-green drawstring bags are made out of polyester. 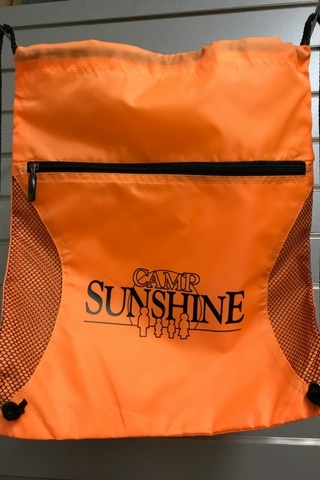 There is an extra zip pocket on the front with mesh sides for breathability. 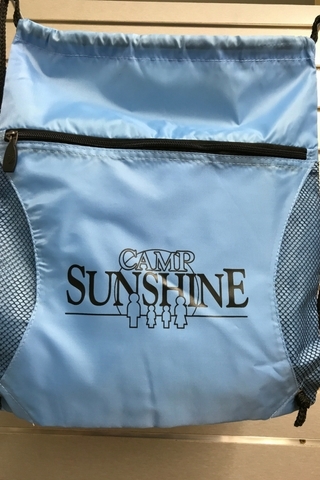 These light blue drawstring bags are made out of polyester. There is an extra zip pocket on the front with mesh sides for breathability. 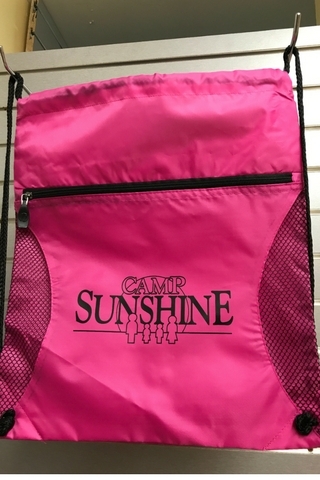 These bright pink drawstring bags are made out of polyester. There is an extra zip pocket on the front with mesh sides for breathability. 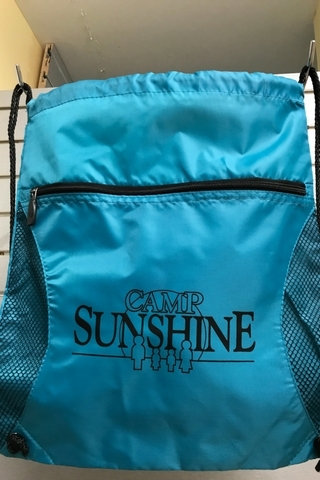 These bright white drawstring bags are made out of polyester. There is an extra zip pocket on the front with mesh sides for breathability. 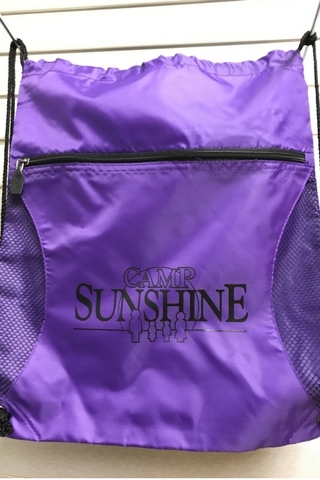 These vivid purple drawstring bags are made out of polyester. 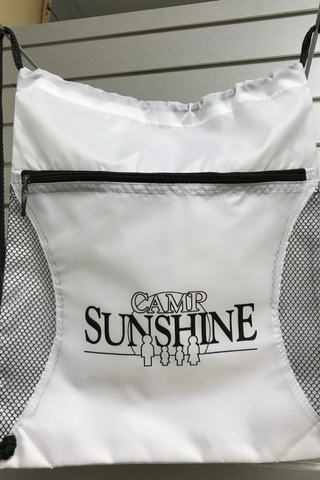 There is an extra zip pocket on the front with mesh sides for breathability.